Just for fun, Owen decided to put together his personal list of some of the world's most noteworthy micro and regional breweries. These popular breweries are loaded with history, innovation, nonconformity, personality, value to the brewing industry, and GREAT BEER. Breweries are listed below alphabetically. Email Owen with your comments and additional nominations. Cheers! 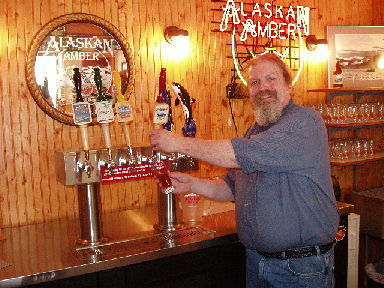 This remote microbrewery produces the most popular beer in Alaska. Alaskan Amber is a rich, delicious Alt beer that is actually more widely consumed than Budweiser in the great frozen north. My favorite beer from Alaskan has to be their high-gravity Smoked Porter that includes malt that is actually dried over burning Alaskan alder wood. Anchor owner, Fritz Maytag, is considered by many to be the founder of the modern day microbrewery movement. In the 1960s Fritz sold some of his shares in his family's washing machine company to buy the old, floundering Anchor Brewing Company. 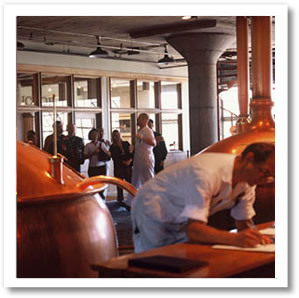 The company's flagship product is Anchor Steam -- one of the United States' original beer styles. This "California Common" beer is basically an English Ale recipe hopped with woody tasting Northern Brewer hops and fermented with a lager yeast. "Uncle George" Bateman has gone to great lengths to preserve his family brewery and continue to make Bateman's "good, honest ales." 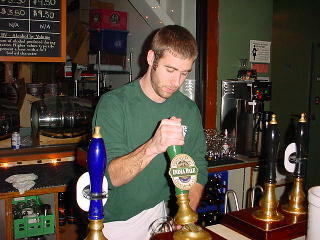 The brewery takes pride in producing award-winning, real cask ales of flavor, high quality, and distinction. 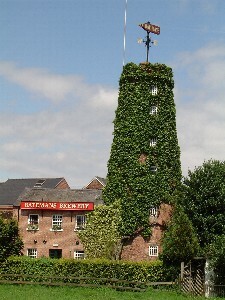 Hopefully, this brewery will stay in the Bateman's family for years to come. Don and Wendy Feinberg started with the beer import business Vanberg and DeWulf and gained assets enough to build and open the Belgian brewery of their dreams in upstate New York. Brewery Ommegang was so popular that it was recently purchased by Duvel of Belgium, but it still produces some of the most distinctive and flavorful Belgian ales of any producer in the United States. 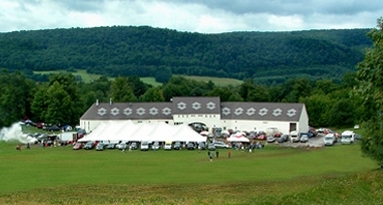 The brewery is also one of the most personable and picturesque in the country. Enjoying a hot pizza and a hand-drawn Pale Ale at Bridgeport is quite an experience. This brewpub and microbrewery is located in a renovated warehouse in an old industrial area of Portland and it represents all that is exciting about the craft beer renaissance in the Pacific Northwest. The beers are hoppy and flavorful, and the atmosphere exudes a passion for life and beer that folks from this area all seem to share. I'm pictured to the far left standing in front of the old mash tun at Belgium's greatest brewery. Cantillon makes the world's most flavorful and authentic Lambic ales (ancient-styled beers that are spontaneously fermented with only the wild yeasts from the atmosphere around Brussels). These beers are aged in wooden barrels and are bold, intensely sour and dry, and loaded with complex flavors and aromas. Massive quantities of fresh fruit are sometimes added to the beer to produce varieties such as Kriek (with cherries) or Framboise (with raspberries). 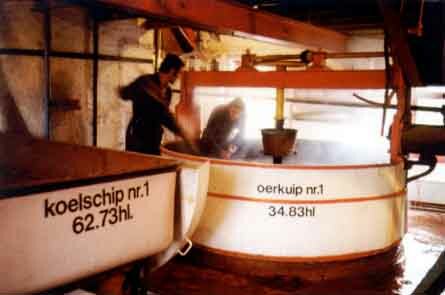 Cantillon is also a living brewery museum, with self-guided tours offered almost on a daily basis. This family microbrewery produces some of Belgium's most unique and eclectic specialty ales. The brews from De Dolle often seem to defy categorization, and the small brewhouse overflows with personality. Located just outside the city of Brugge, De Dolle is renown for producing Belgian ales with a huge depth of flavor and complexity. 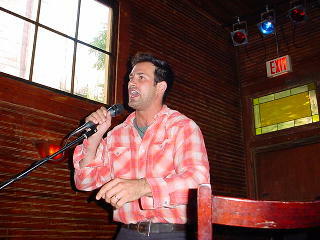 Sam Calagione started Dogfish Head in order to satisfy his desire to make some of the United States' strongest and most memorable ales. The brewery is now known world-wide as producer of outstanding strong beers that contain interesting fruits, spices, and other adjuncts such as saffron, raisons, honey, vanilla, wood, and an absurd amount of fresh hops on occasion. Oh, what a world it would be if all brewers were as brave as Sam! Located in an urban suburb of London, Fuller's produces some of the most clean yet bold ales in all of Britain. The richly malty Fullers ESB sets the world standard as the best Extra Special Bitter produced in modern times, and London Pride and Chiswick Bitter are two of the most flavorful English session beers on the market. 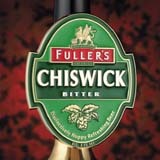 Stop in any Fullers pub in London, and you'll be sure to partake of some of the country's best real ale. Why is it that the hours seem to slip away so easily at Great Lakes Brewing Company in Cleveland? Could it be the terrific atmosphere that has been created in this gentrified neighborhood that was desolate and filled with crime back in the 1980's? Could it be the the wonderful food menu filled with outstanding selections made from the best local ingredients? Could it be the amazing lineup of house beers like Burning River Pale Ale or Edmund Fitzgerald Porter? Of course, it's all of the above. 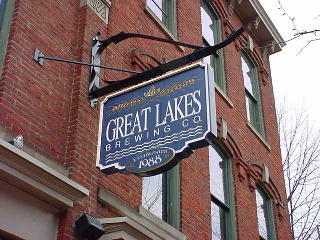 Great Lakes is one of the best brewpub/microbreweries in the United States. 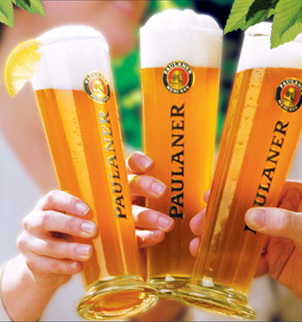 Paulaner produces my favorite Doppelbock (Salvator) and Hefeweizen in all of Germany. Their gleaming brewhouse sets the standard of cleanliness and quality control for breweries across the globe, and the history of brewery dates back to monks from the middle ages who produced beer in the region. This brewery produces Bohemian Pilsners that are herbal, floral, malty, and very true to style. Platan also makes lagers with a big range of malt bills and alcohol strengths. 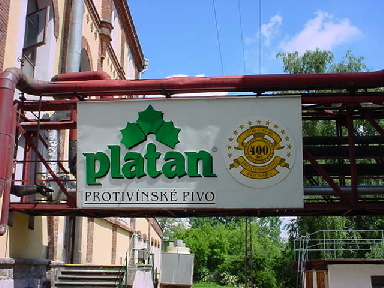 In a time when many Czech brewers are consolidating and selling out to larger companies, Platan remains privately owned and independent. Rogue is known far and wide as producer of some of the most hoppy and distinctive beers of the Pacific Northwest. Rogue's powerful "pacman" yeast is famous for turning malt sugars into delectable ales, and the company turns out a huge range of interesting ales and lagers. The Rogue Public House bar/restaurant/hotel is known for some of the best hospitality in the region. The original Schneider family Weisses Brauhaus in Munich was hit by a bomb near the end of World War II and the brewery was relocated to the suburb of Kelheim on the beautiful Danube River. Schneider makes an amber, luxurious Weizen beer (Schneider Weisse), a spicy Weizenbock (Aventinus), and a powerful version of Aventinus made by partially freezing the brew and skimming off some ice (Eisbock). Their brewery restaurants serve some of the best and most hearty food items in Bavaria. 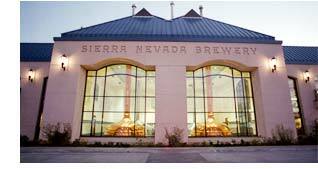 Sierra Nevada makes the most well known American Pale Ale in the world and boasts a gorgeous brewpub and microbrewery in the small town of Chico, California. Brewpub patrons will be astonished at the wide array of beers available on the house sampler tray, and the food items made with the Sierra Nevada beers are scrumptious. The monks of Saint Sixtus value their solitude and humility so much that they will not even employ a company to distribute their world-renown Belgian ales that are considered by many to be the best beers in the world. 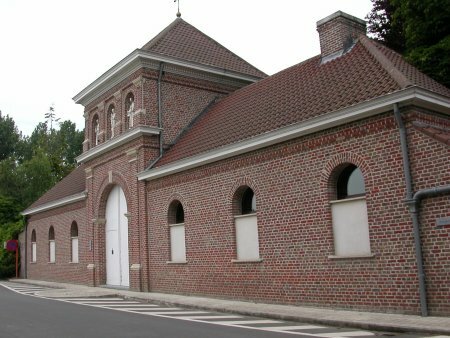 Patrons drive out a small country road and line up outside a drive-up booth at the monastery to purchase the Westvleteren beers (but this is well worth the effort). Persons who make the trip to the area are also able to sample the exquisite beers of the abbey at the Cafe De Vrede across the street. 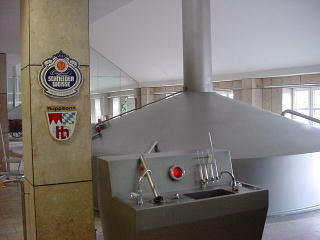 The Cafe also has a small exhibit that demonstrates brewing life at the world's greatest Trappist brewery. The Westvleteren beers are heavenly. 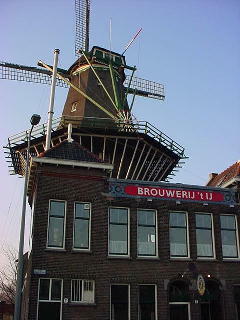 What better place to brew outstanding beers in Amsterdam than under a windmill? The city's most popular brewery is owned and operated by a Dutch folk songwriter and makes beers along the style of Belgian Trappist ales. This microbrewery is only opened for a few short hours each day, and patrons buy a beer at the bar and then sit in booths located in areas that were once part of an old bathhouse under the rolling vanes. 't IJ is one of the best spots in Amsterdam to enjoy a delicious and potent brew. 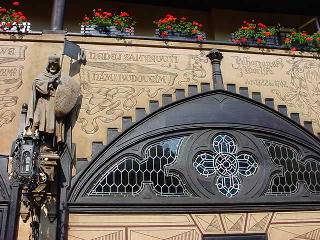 U Fleku is probably the oldest brewpub in the world. Sure, it caters to hordes of tourists and has prices for food and beer that are quite expensive for Prague, but U Fleku produces the very best beer in the Czech Republic. It makes one beer -- a dark, rich, spicy lager that has been produced in the upstairs brewhouse for several hundred years. The courtyard is filled with brewing murals and statues and the place drips with atmosphere and history. Sample a plate of their pungent soft cheese made with onions and garlic along with a half liter of the amazing house brew. Located just outside Montreal in the small village of Chambly, Canada's most impressive brewery churns out some of the most distinctive Belgian-style ales this side of the Atlantic. 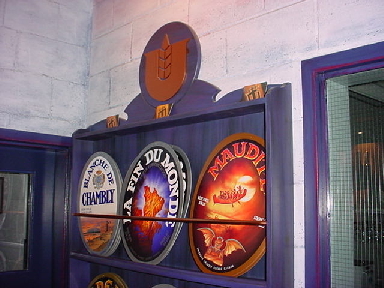 The brewery is emaculate, the recipes are inspired, and Unibroue's love for the history of the region is apparent. The beers are all named in honor Quebec legends, and the associated restaurant in town (Fourquet Fourchette) serves unbelievable French Canadian dishes (and the entire range of Unibroue beers) in old world style. This brewery just outside of London still maintains a stock of the old breed of horses that once pulled their beer carts. 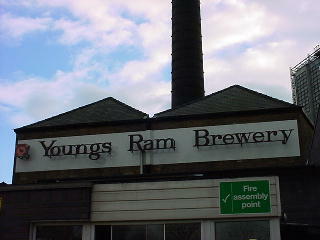 Youngs also has a handsome ram ("Ramrod") on premises from which the brewery takes part of its name. Youngs produces some of England's best ales that include Ramrod, Special London, Waggledance (made with honey), Oatmeal Stout, and Old Nick Barleywine. This is one of London's oldest breweries, and it is quite a shame that there is a possibility of it being purchased and relocated in order to make room for new suburban housing. Here's hoping that Young's resists the offer and keeps it roots firmly in Wandsworth.